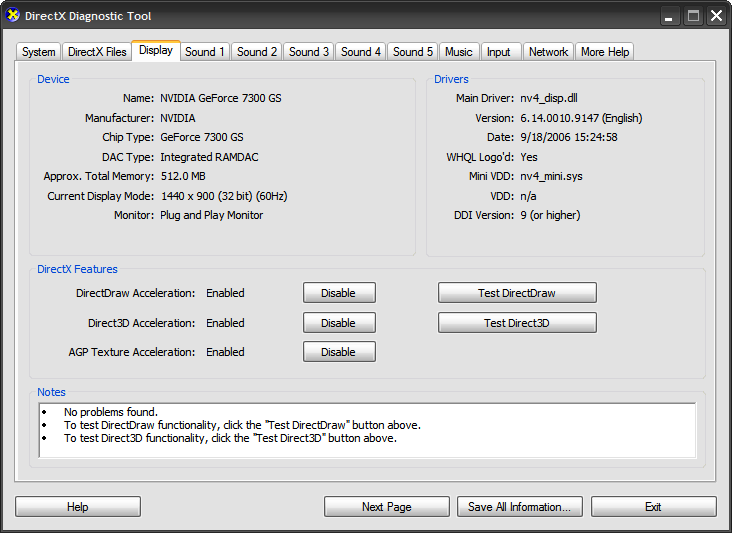 If you are concerned with video game performance, or you are trying to fix some problems with any 3D application, you can ensure DirectX 9 on XP is running at peak efficiency by running a diagnostic. 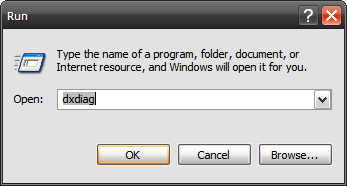 To start the diagnostic, click on Start \ Run and type in “dxdiag” and click OK. If this is the first time your running this diagnostic windows will ask you for permission to check for WHQL Digital Signatures. Click Yes to this. 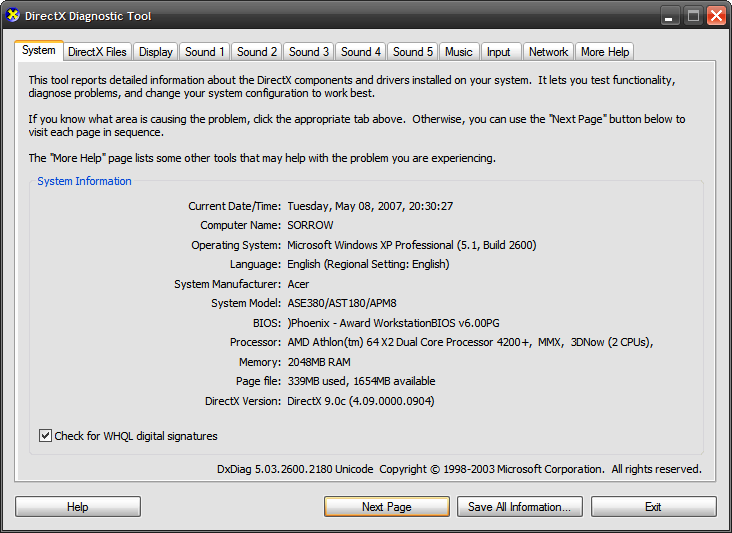 You will then get the DirectX Diagnostic Tool. The default tab will be System, where it lists the general information about your system and most importantly what version of DirectX you currently have installed. 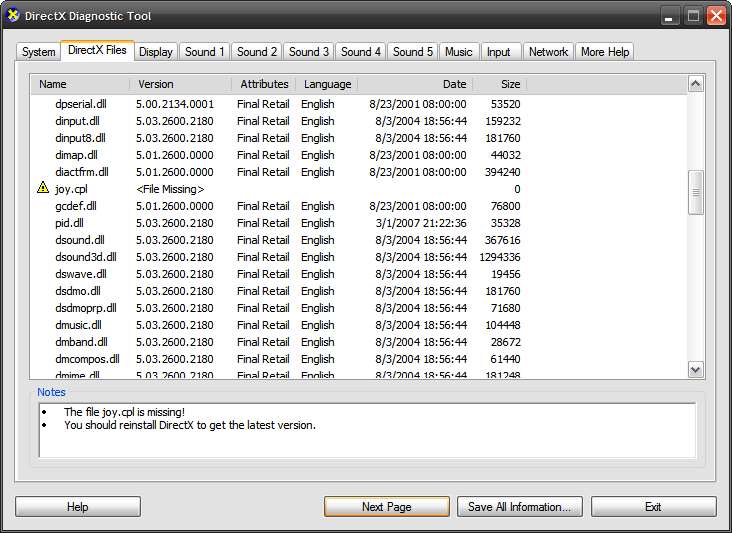 The DirectX Files tab will show you if any critical files are missing. Check the Notes section for a recommendation on fixing the problem. The Display tab is probably the most important. You can run some tests here to verify that DirectX is running correctly. After running each test you will receive a confirmation box such as this one. Just answer the questions as you are running the tests and this tool will direct you to getting optimal results from your hardware. 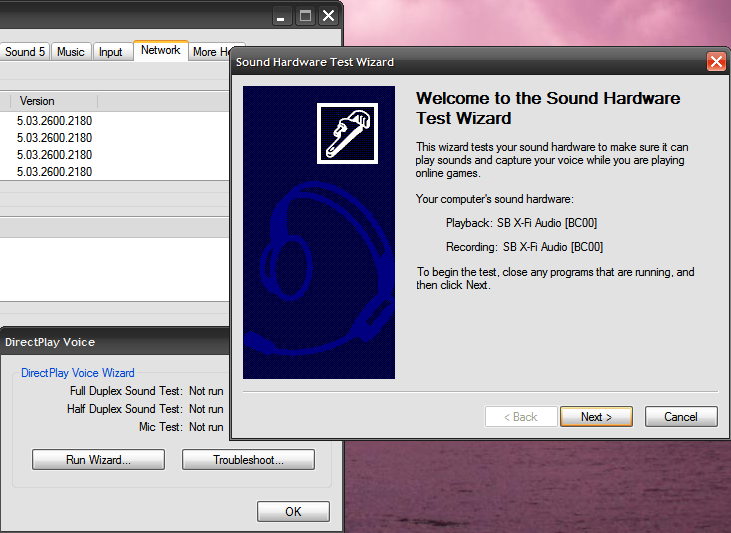 There are even cool sound diagnostics you can run using a simple wizard.